Today, most digital height gages are designed to take one-dimensional coordinate measurements in a vertical manner. This means that they are great at determining diameters and distances between two points on test pieces. Taking two-dimensional measurements is possible if you tilt the test piece 90 degrees and the control/evaluation display supports the calculation of 90-degree coordinates. 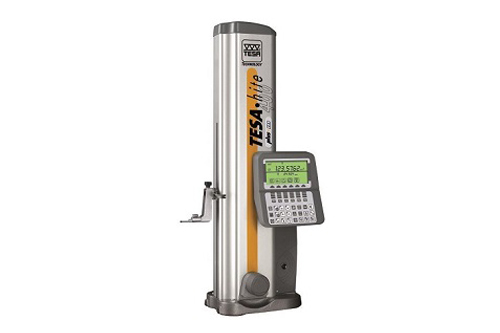 If you are looking to get a versatile height gage that is capable of performing a great array of measuring tasks, you can never go wrong with the motorized version of the Brown & Sharpe Tesa-Hite Plus M400/M700. This height gage offers unmatched speed, reliability, and performance. In addition, the product is easy to use, set up, and maintain. Founded in 1833 by David Brown and his son Joseph R. Brown, Brown & Sharpe was based in Providence, Rhode Island. The company spent their earlier years inventing and innovating; some of their creations included a precision Gear Cutting and Dividing Engine and the first automatic machine for graduating rules. Since its inception, Brown & Sharpe’s name has been synonymous with quality for over a century. Today, Brown & Sharpe is no longer a stand-alone company. It has become a flagship brand of the Hexagon Metrology group. Their brand is now recognized for making optical measuring systems, precision hand tools, 3D benchtop measuring machines, Coordinate Measuring Machines (CMMs), and more. Get Brown & Sharpe Tesa-Hite Plus M400/M700 Motorized from Willrich Precision! Since our inception, Willrich Precision has been providing a comprehensive range of height gages for our valued clients, including the Brown & Sharpe Tesa-Hite Plus. Our company has nearly 50 years of experience in the field of metrology, gaging, and inspection. You can always find the height gages you need and fits your budget through us. The advantage of shopping online at Willrich Precision is that a knowledgeable customer service team is always ready to answer your inquiries. We can provide the guidance you need throughout the purchasing process. This ensures that our clients always purchase the right equipment for their projects. Whether your organization is based in the aerospace industry or medical industry, we have got you well-covered with high-quality gaging equipment. That’s not all; our products are also widely used in the plastics, pharmaceutical, metals and machining, technology, automotive, military, and firearms industries. If you wish to know more about the Brown & Sharpe Tesa-Hite Plus, do not hesitate to talk to a Willrich specialist today! Technicians may encounter some challenges when using larger height gages. The cause of those potential problems is not due to the height of the gage but its relationship to the size of the base. If there are errors in how the gage is set up, it can potentially distort a carefully planned height measurement procedure; that said, what can you do to get perfect measurements for every job and overcome said height gage challenges? A majority of height gages are typically used with surface plates. These surface plates are designed to provide the reference for both the height gage and the part that’s being measured. It is imperative that these plates are well-maintained and clean. When measuring a workpiece that has a height of approximately 10 inches, a strand of hair or a small metal chip is enough to throw off one’s measurements by 0.020 inches. A height gage is designed to measure a specific height. That’s the point where it performs at its best. If the height gage model you are using is designed to measure 24 inches, you can’t simply extend the post to measure a part that’s three times that height. If the cross area of the measuring post or base design is not modified, the gage can start to flex and/or wobble, affecting the final measurement. Oftentimes, it is hard to spot if these problems are occurring at that moment. For example, a 0.001-inch wobble is invisible to the naked eye. To prevent the post from flexing or wobbling, some technicians may focus on “strengthening” the column of the height gage. Unfortunately, this is not a viable solution for resolving the problem. If pressure is applied to the measuring contact when it’s nearing the maximum upper position, the gage may tip over. If the same amount of pressure is applied horizontally against the gage’s measuring contact, the gage may start sliding along the table. The correct way is to focus on decreasing the ratio of the base to the post. One can achieve this by making the base wider and longer. In addition, build in some mass. By doing this, one can expect to see significant improvements in the height gage’s performance. Looking for a reliable height gage? At Willrich Precision, you can purchase high-performance height gages online at the best prices. Feel free to contact us if you have any inquiries. Before we delve into why getting a retrofit controller for your CMM is a good idea, it will help to start with the basics as to what a CMM is and what it does. A CMM or coordinate measuring machine is a tool that measures the geometry of the surface of an object by sensing the points on that surface with a probe. CMM machines come in many forms. Some are computer-controlled while others are controlled manually by an operator. CMM machines also use various kinds of probes to sense surfaces. For example, there are CMM machines that use laser probes, mechanical probes, optical probes, and white light probes. 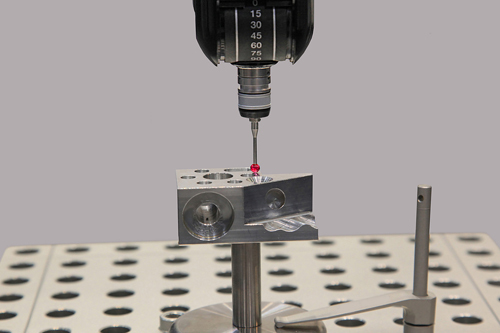 CMM machines use a reference point in order to specify a probe’s position. 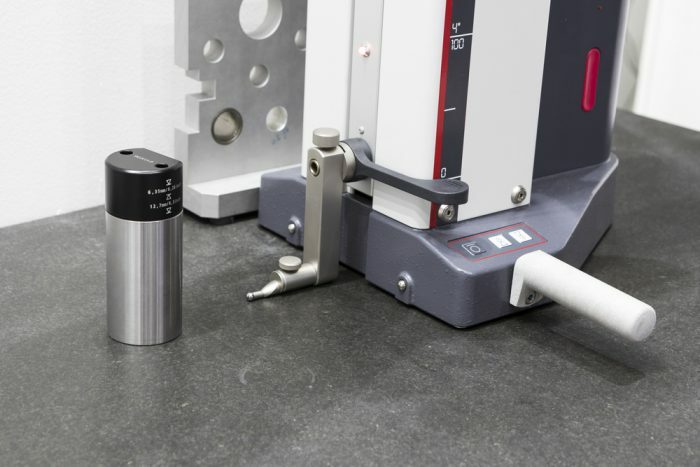 Some CMM machines allow for probe angling in order to measure hard-to-reach surfaces. Hence, CMMs generally offer greater precision than other measurement tools such as micrometers and calipers. CMM machines allow for parts to be upgraded and one of the parts that are likely to be upgraded is the CMM controller. There are numerous benefits to upgrading your CMM controller which we are going to explore in this article. A worn-out controller can easily lead to serious measurement errors or worse, complete breakdown of the CMM machine. For this reason, it is better to catch the problem early and change the controller before it gets to this point. Even though the changes will necessitate some downtime, this is short relative to the downtime that would be occasioned by a breakdown. Proactively changing the controller leads to fewer errors and eliminates any chance of the complete breakdown due to a malfunctioning controller. The technology around controllers is always changing and replacing your CMM controller allows you to take advantage of modern technology without having to get a completely new CMM. Better controller technology leads to more accurate readings and helps to keep the CMM machine operating at optimal levels. Related to the previous section is the fact that changing your CMM controller will put you in a better position to prepare for next-generation CMMs. What this means is that by upgrading your CMM, you are ensuring that your machining process can keep up with modern technologies and prepare for future expectations. 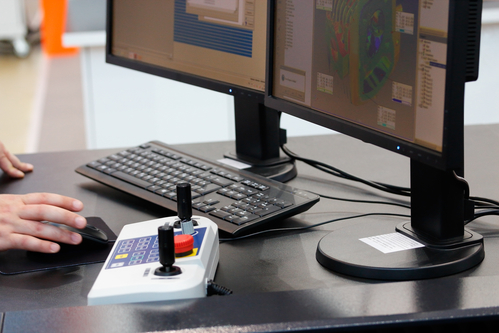 By upgrading your CMM controller, you ensure that your CMM can do more. For example, upgrading to some of the new CMM controllers can transform you CMM and give it new capabilities such as touch-trigger and also add non-contact measurement capabilities. All these changes lead to more precise measurements and greater flexibility when using the CMMs. 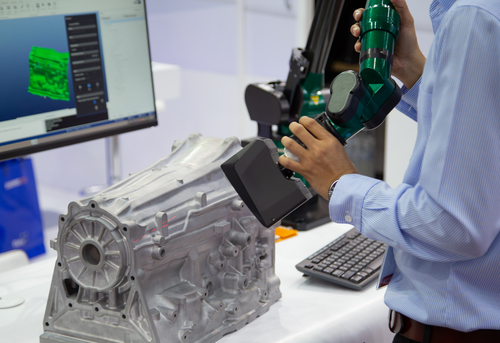 Newer CMM controller technologies come with simulation capabilities which mean that you can effectively train machine operators via modern digital technology. This translates to significantly lower training costs and shorter training time. As you can see, there are quite a number of benefits to retrofitting your CMM controllers. If you notice that your CMM controllers are reaching the end of their shelf life, don’t be afraid to upgrade and install new controllers. It will give your CMM machines a new lease of life as well as offer you many other benefits. The best way to think about a coordinate system is to think of an elevation map with its referencing system that uses numbers and letters to help the map reader select a very precise point on the map. This coordinate system is the backbone of coordinate metrology that in turn is used in Coordinate Measuring Machines or CMMs that ensure that products coming off the manufacturing line meet very precise quality standards. The coordinate system is an invention of Rene Descartes, a French mathematician, and philosopher who created the system in the 16th century. Here are some of the basic terms that you may hear in coordinate metrology and their meanings. Coordinate Measuring Machines or CMMs are precision measuring machines that use the coordinate system to measure the surfaces of a product. CMMs do this by running a probe (which could be mechanical, laser or optical) along a surface and the data collected is then relayed to a data reader. The probe can either be manually controlled by an operator or can be computer controlled. Typically, CMMs will be used alongside other measuring tools such as CT scanners. Another common term that you are likely to hear is datum which refers to points on the coordinate system. To use the earlier example of a street map, the datum can be a hotel or a river that is featured on a map. In the world of coordinate metrology, the datum, in this case, might be a hole (on a product) or a protrusion. The CMMs precisely map these points and uses them to ensure that there is consistency from one part to another. This refers to the process of determining the space between one feature on the product to another. To use the map analogy again, this is like moving from the river to the hotel and then on to a third point. In this movement, your starting point changes (from the river and then from the hotel). This shift of the starting point from one location to another is what is called translation. Going back to CMMs, the probe acts like your finger on the map and moves from one point to another on the surface of the product, essentially translating from point to point. Rotation is best understood by using the analogy of the map once more. When moving from one point to another, you will realize that not all points are located at right angles to where you are. What this means is that once you translate from the river to the hotel, you might realize that your third destination is not parallel to the hotel. If you were using a map, you would rotate the key to be parallel to your point of origin thus allowing you to measure the distance between your new point of origin and your next destination. CMM machines do this exact process when moving from point to point and measuring the distance from one datum to another. These are just some of the terms that you may encounter when learning about coordinate metrology. All these terms refer to processes that make it possible for precision instruments like CMMs to measure product surfaces and ensure that parts conform to a very specific quality standard. 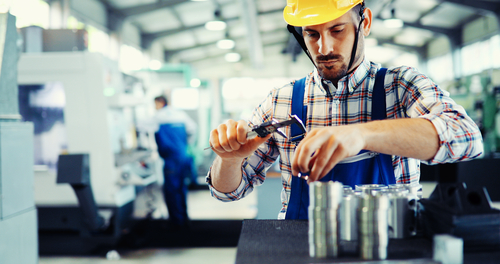 Although most people do not quite understand the role of quality control specialists in manufacturing processes, the reality is that they play a vital role in ensuring that we are all safe. For example, a vehicle part that is not manufactured to the correct standards could have serious repercussions for the driver of the vehicle if that part ever ended up in a car. Luckily, quality control specialists are able to ensure that for the most part, manufacturing processes adhere to the correct standards. To do these quality control checks, quality control specialists rely on a variety of tools and machines to do their job. Read on to learn about the various tools that are vital to this role. There are a variety of hand-held tools that quality controllers use in their work. 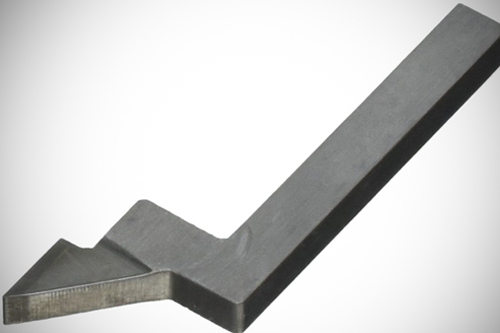 These range from gages, slide-calipers, micrometers, and indicators. If you visit a typical manufacturing plant, you might notice quality control specialists randomly checking parts off the assembly line using these tools. Handheld tools offer great flexibility to these specialists, allowing them to walk around the manufacturing line and testing parts at different points of the manufacturing process. Another great benefit of these handheld tools is that they are easy to use and people quickly learn how to use them without a lengthy training process. Coordinate measuring machines or CMM are machines that give a very precise measurement of surfaces by running a probe over the surface of the part. These probes can either be mechanical, laser or optical depending on the degree of precision that is required. These CMM machines are fixed thus are likely to be used at one point. This means that products being analyzed are likely to be brought to the unit unlike the hand held devises that the quality control specialist can walk around with. Fixed CMMs are very precise and can also be linked to data processing machines allowing quality control specialist to analyze quality control data across different periods and different production lines. These machines go a step further and give quality control specialists the ability to move around with the CMM while at the same time enjoying the precision that comes with CMM. Portable CMM tools are however sensitive to environments where there are strong vibrations (such as manufacturing plants that use big machines) and thus cannot be used in all manufacturing environments. 3-D scanners offer greater precision and flexibility without any of the limitations that come with portable CMM machines. For example, 3-D scanners are not affected by vibrations or temperature variations and thus are likely to work in a wider range of manufacturing environments. 3-D scanners are also suited for complex manufacturing processes. Quality control specialists rely on some or all of these machines to ensure that the manufacturing process continuously produces products that meet very precise specifications. Industrial CT scanning or Computed Tomography Scanning is a testing technique that uses radiographic technology to measure volumetric detail. The technology is based on the ability of X-ray waves to pass through materials of various densities and thus allowing quality control specialists to measure internal features of a component without having to take it apart. As manufacturing processes have become more and more complex, companies are increasingly turning to industrial CT scanning equipment such as the Wenzel exaCT® S CT Workstation to ensure that their outputs meet very precise quality standards. Part of the reason why this technology is becoming widespread is the ability of the radiographic waves to penetrate both metallic and non-metallic materials, giving these machines the ability to be used in all sorts of manufacturing processes. These useful devices have the additional benefit of being versatile and are not affected by manufacturing plants that have a lot of vibration or temperature variations. This is unlike CM Machines and other measurement tools that can be affected by such vibrations thus limiting their use in certain manufacturing processes. If you are looking to buy an Industrial CT scanner, you should consider the Wenzel exaCT® S CT Workstation. Let us tell you more about this versatile and precise machine. The Wenzel Group is a family-owned company that manufactures various high precision tools that are used in the world of metrology. The Wenzel Group was founded in 1968 and since then, they have seen their metrology machines being used in some of the largest manufacturing processes across the globe. Industries that are currently using Wenzel Group’s products include the automotive industry, the aerospace industry, a variety of manufacturers producing medical equipment and many others. The company has a presence in over 50 countries across the world and has 650 employees. Get Wenzel exaCT® S CT Workstation from Willrich Precision! Are you looking for a new Wenzel exaCT® S CT Workstation for your manufacturing process? Your search ends at Willrich Precision where we have exactly what you are looking for. When you come to us for the Wenzel exaCT® S CT Workstation, you are assured of excellent customer service as well as customer support designed to reduce downtime and ensure that your equipment works flawlessly. This is the reason why metrology experts have trusted us with their equipment needs for the last 50 years. To know more about our Wenzel exaCT® S CT Workstation and the benefits it provides, do not hesitate to contact us today. Bore gage is a collective term that refers to tools that are used to give very precise measurements of holes. There are many reasons why a manufacturing process would want to have a very precise measurement of holes. 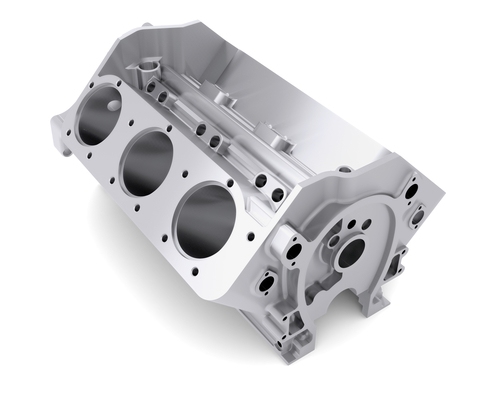 For example, the quality control process of a manufacturing plant might be very interested in measuring holes in a given part that is being produced, especially if that part is designed to fit into another part. Any deviation from the set size would have costly implications for the manufacturer and therefore the quality control process has to use very precise tools to ensure that all the parts have the right size/shape of the hole. To this end, companies invest in bore gages and the choice of what type of gage to buy is determined by various factors that we are going to explore. Various bore gages work in various environments and it helps to understand where exactly the bore gage that you want to buy is designed to work in. For example, if a manufacturing process will require the quality controller to move around randomly checking samples, it might make sense to get a bore gage that is easy to use and portable. Such a manufacturing process might discourage some of the non-contact gages that tend to be bulky and very expensive to maintain. Various gages have varying capabilities. For example, some bore gages come with digital read-outs that allow for data collection. Other manufacturing processes don’t really care much for data collection as long as the bore gages can help them ensure that there is no variation in the parts being produced. With this in mind, it would be important to get a gage that has a digital read-out screen and a data collection port if data processing is important to your manufacturing process. If not, you might be ok with a simple bore gage which typically tends to be more durable and easy to use. Some bore gages offer greater flexibility when it comes to calibration than others. A good example is the two-three point contact system that is calibrated to a reference master. The implication of this is that only the setting ring on the reference master needs to be calibrated and this offers a much easier and faster process of keeping the gages calibrated. For a manufacturing process that requires precision as well as fast calibration (such as a large and busy manufacturing plant), these kinds of gages might be more ideal. Holes come in different sizes, shapes and depths and all these factors play a part in determining the type of bore gage to be used. For example, air gages work well with holes that are tapered. Where they are located on the part and how accessible they are will also play a part in determining the type of gage you select. Air gages again are easier to use on holes that may be in positions that make it hard to use mechanical gages. There are many factors to be considered when selecting a bore gage. Understanding your manufacturing process and what you want to measure with the bore gage are the first steps in determining what kind of bore gage to buy. Air gaging is a common technique used in a wide range of manufacturing process. Technicians that work on the shop floor often utilize air gages due to the advantage that the product offers. Air gages are not only easy to use and fast, they can measure to very tight tolerances (down to a resolution of 5-50 millionths!) and even clean the part’s surface before measuring. When it comes to air gaging, most gage users automatically think of air plugs. There are, however, various styles of air forks and air rings. These tools provide similar benefits and a few additional ones too. In some cases, you can’t simply place a part in an air ring, e.g. on crankshafts. There are just too many journals and some of them have very tight tolerances. This means that there is no way to place an air ring over this area. This is when you will need an air fork. You do not get air forks simply by slicing an air ring in half. There are some critical dimensions to consider. In addition, they come with precision-ground locating stops that are found at the back. These features allow the operator to create the reference based on the known part diameter and position the jets with precision. You can get the air forks to really shine if it’s possible to customize the position of the air jets. For example, you can measure a diameter right up to a face by placing the jets near the end of the fork. Alternatively, you can also add multiple jets to measure up to three diameters simultaneously. You should be able to read the three diameters as one without a lot of computing power. Don’t forget to calculate shape and taper as well. If you are measuring challenging outer diameters, it is a good idea to remove the mechanical snap or the bench stand and consider leveraging air. Air rings are the opposite of air plugs. 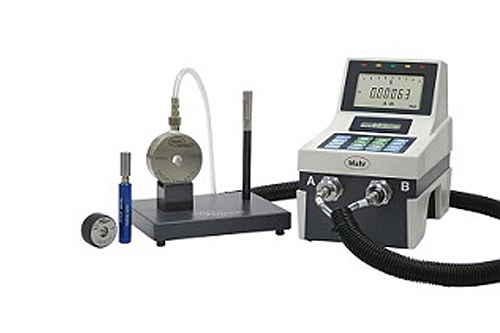 They are typically utilized to measure outer diameters. These rings often have a basic design, e.g. a steel ring and a pair of jets attached to a particular location. Surprisingly, a lot of engineering is built into them. If you need to calculate the size of the ring, ensure that you achieve a proper balance of clearance between the opening in the ring and the part. If there is too much clearance (it will measure a chord rather than the diameter), your readout will display a centralizing error. If you lack clearance, a geometry error can occur. In this case, you won’t be able to insert the part into the air tool. You should check and ensure that the jets are positioned slightly lower than the body of the ring. It provides the air system with the correct differential characteristics to function properly. Additionally, it allows for ring wear. When it comes to measuring basic diameters, two-jet air rings will suffice. Gears and pullies, however, feature multiple ODs. In most cases, you will need to measure the diameter right up to the face where your rings are attached to. You will need to get a snout-type or shoulder-type air ring. They are basically blind hole rings that allow you to position the jets closely to the face and measure the outer diameter right to its end. Snout type rings can get around obstacles and clearances more efficiently. It is useful to note that air rings may be designed with between three and six jets.